The details are not the details, they make the product just like the details make the architecture. The gauge of the wire, the selection of the wood, the finish of the castings — the connections, the connections, the connections. It will be in the end these details that provide service to the customers, and give the product its life. 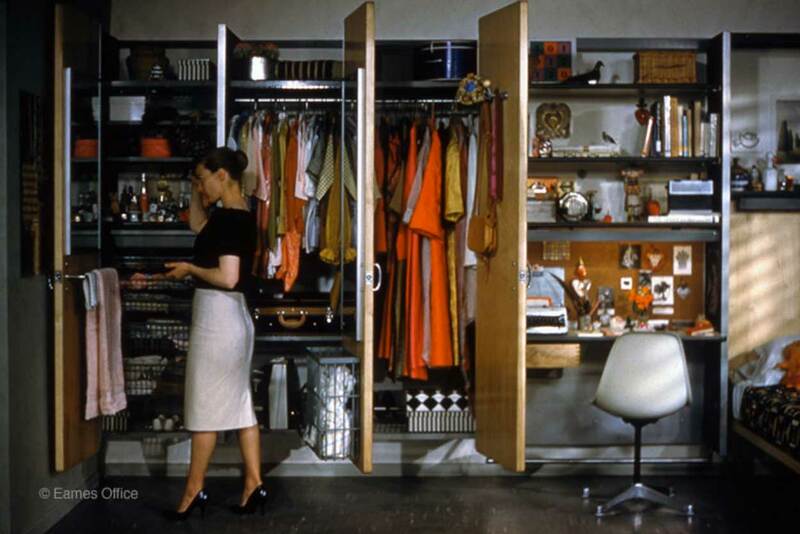 ECS: the Eames’ study, storage, sleeping unit. 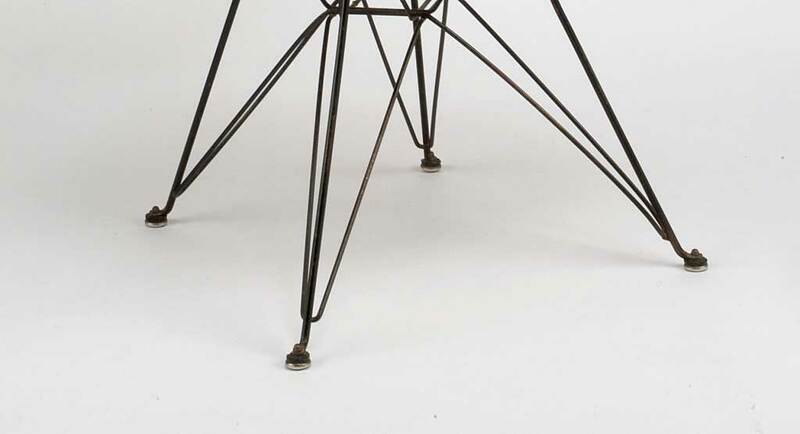 For an example of the Eames’ tireless dedication to details, you need look no further than their obsession with refining the foot/glide on their now-classic upholstered wire chair. After its introduction in 1951, the Eames began receiving feedback and learned that — after many years of use — the feet of the chair would often crack. The original 1951 Eames Upholstered Wire Chair. So they went back to the drawing board, and introduced a new metal and rubber foot/glide design in 1953. Then, when they learned that this new-and-better version could still deteriorate after years of use, they invented yet another foot/glide design in 1957. 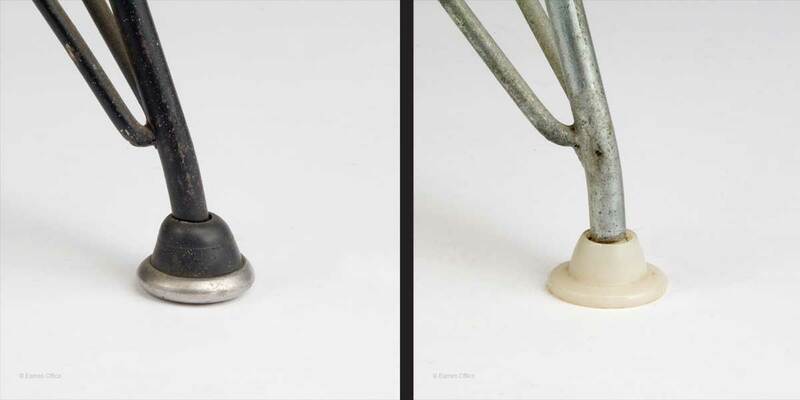 When you buy a new Eames chair today, 50+ years later, they still come with this same super-durable nylon glide. Left: The 1953 version of the foot/glide. Right: The 1957 version of the foot/glide. 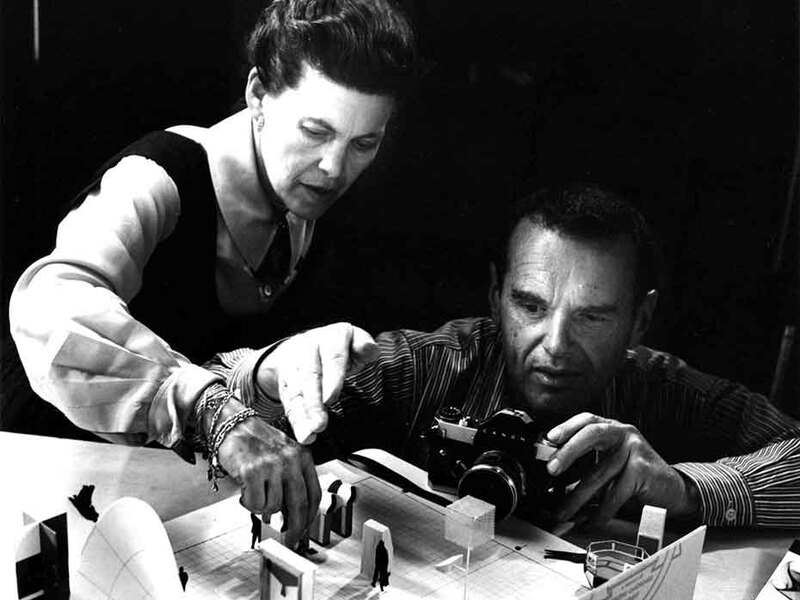 The Eames wouldn’t settle for a better design, they wanted the best design — and that meant paying attention to the unsexy details, like refining chair feet, over the course of 6 years. Being obsessive about detail is being normal. Q: The meticulousness of typographic work seems to require an obsessive attention to detail. Would you describe your work in typography as an obsession and, if so, why does this particular discipline require this level of engagement? A: Wrong question. Every craft requires attention to detail. 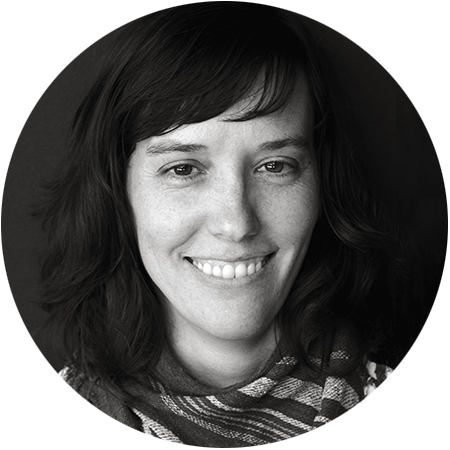 Whether you’re building a bicycle, an engine, a table, a song, a typeface or a page: the details are not the details, they make the design. Concepts don’t have to be pixel-perfect, and even the fussiest project starts with a rough sketch. But building something that will be used by other people, be they drivers, riders, readers, listeners – users everywhere, it needs to be built as well as can be. Unless you are obsessed by what you’re doing, you will not be doing it well enough. Typography appears to require a lot of detail, but so does music, cooking, carpentry, not to mention brain surgery. Sometimes only the experts know the difference, but if you want to be an expert at what you’re making, you will only be happy with the result when you’ve given it everything you have. I love the notion that users possess an intuitive (or subconscious) sense of quality—that all of the blood, sweat, and tears you put into a product will be palpably felt even if the customer doesn’t consciously know how many hours you put in. I’ve certainly found this to be true in my own endeavors, whether it’s maniacally editing down a 60-page interview transcript into a 1,000 word magazine article; obsessing over the finding the just right font, trim size, and illustration style for my new book; or tending to every little detail for six years of the 99U Conference, from curating speakers on down to choosing the music that played during breaks. Working out the details is precisely what transforms an idea from vision into reality. Without an “obsessive attention to detail,” there is no heart, no soul, no “you” in the product. 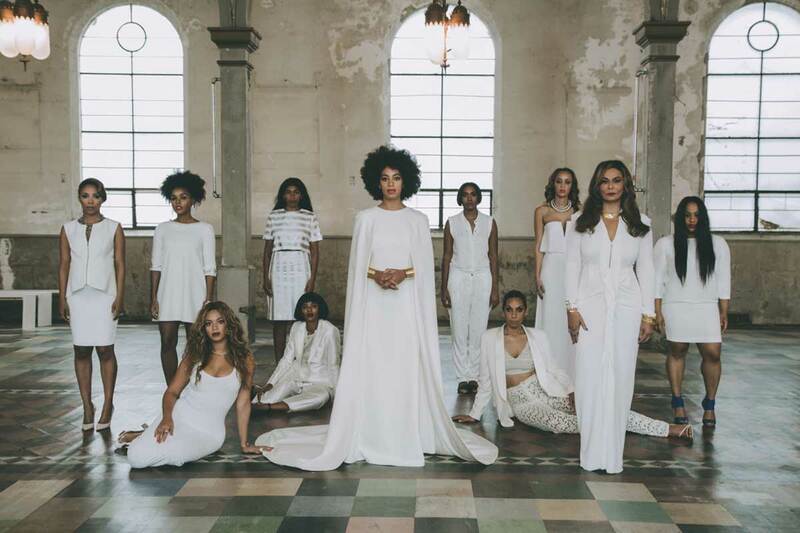 One of Solange’s wedding photos. Important detail: Beyoncé has to sit down. As far back as I can remember, our mother always taught us to be in control of our voice and our bodies and our work, and she showed us that through her example. If she conjured up an idea, there was not one element of that idea that she was not going to have her hand in. She was not going to hand that over to someone. And I think it’s been an interesting thing to navigate, especially watching you [Beyoncé] do the same in all aspects of your work: Society labels that a control freak, an obsessive woman, or someone who has an inability to trust her team or to empower other people to do the work, which is completely untrue. There’s no way to succeed without having a team and all of the moving parts that help bring it into life. But I do have—and I’m unafraid to say it—a very distinctive, clear vision of how I want to present myself and my body and my voice and my perspective. And who better to really tell that story than yourself?